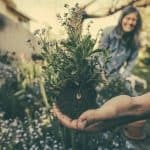 There are many surprising household items dotted around the average home that could easily be used to improve your garden, especially when trying to help your plants to grow. 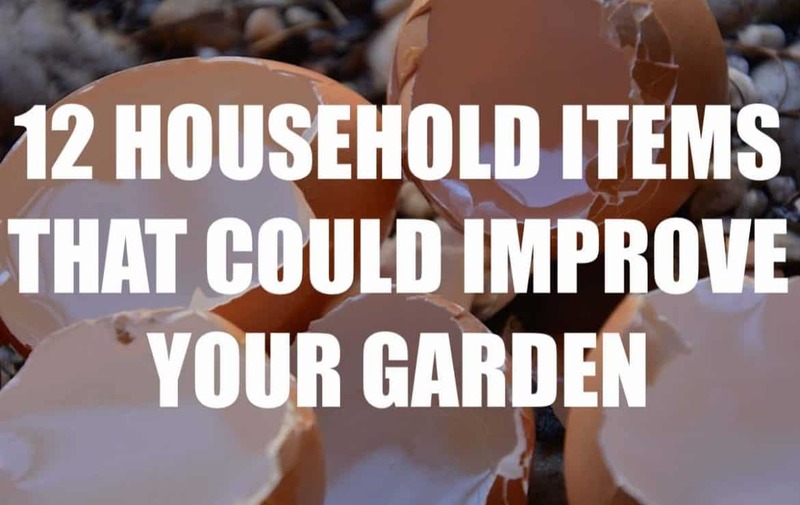 There are many household items dotted around the average home that could easily be used to improve your garden, especially when trying to help your plants to grow. Many of these items include objects that we are throwing out daily. For example, did you know egg shells, banana peels, fireplace ash, used green tea leaves and more could be of great use? Bananas are high in potassium, which is a well-known fact. That’s why it is recommended not to eat more than six bananas in one day as doing this could cause stomach pain and an irregular heartbeat. However, the high amount of potassium comes in very handy for the garden. By tossing your emptied banana peel into your garden you will be giving your plants a much-appreciated potassium boost. This boost will help the plants become strong and healthy which result in improved protection against pests. However, ensure the banana peels do not surface as this has the potential to attract unwanted pests. Untreated wood ash is a highly efficient fertiliser for your plants. It is best to harvest ash from your fireplace during the winter to ensure you have a good amount to use throughout the year. But why is fireplace ash beneficial? Wood ash can alkalinize soil, which is convenient for different types of plants in your garden as they are likely to vary in PH levels. Ideally, they want to be as close to neutral as possible. By simply coating your soil with fireplace ash you are providing your soil with potassium and calcium carbonate. A popular drink, the liquid inside the coconut (referred to as both coconut milk and coconut water) is rich in minerals. Coconut milk is rich in gibberellic acid which can help the increase of germination of seeds as well as root development. We recommend making coconut ‘tea’. Simply mix one tablespoon of dried coconut milk with five gallons of water. Once made, use the coconut ‘tea’ once a week, or alternatively once every other week. Doing this will add both bacteria and electrolytes to the soil. Eggs are a highly tasty household item to add to any meal. Whether it be scrambled egg for breakfast, fried egg on toast for lunch and a boiled egg with salad for dinner, it is no surprise that it is estimated that an average person, Worldwide, will consume 150 to 200 eggs per year! And with that comes a lot of empty eggshells. Are you aware that eggshells are great in the garden for an array of reasons including as a fertiliser and pest deterrent? 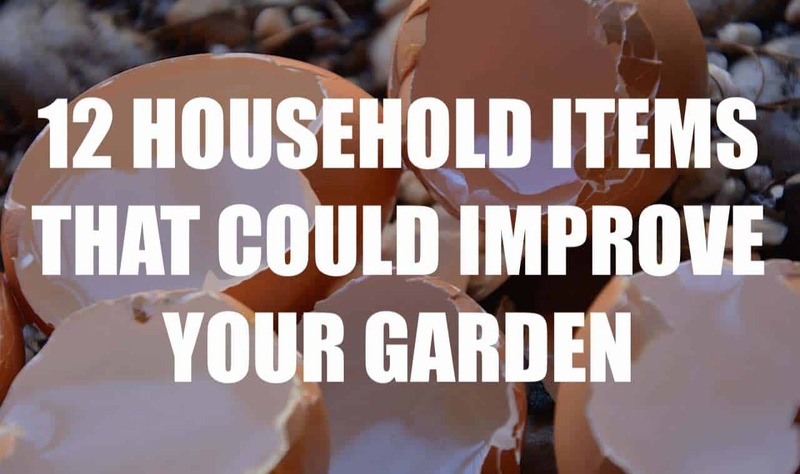 Firstly, eggshells are a simple way of giving an extra boost of calcium to your compost. To do this, throw your shells on the compost heap or into the barrel and turn them under. As shells have a high surface area to volume ratio they are able to decompose at a quick rate so being cautious when adding them isn’t entirely necessary. Additionally, if you are experiencing problems with snails and slugs, simply sprinkle crumbled eggshells around the plants where the pests have been spotted. The sharp edges of the shells will be a caution to the pests and they are therefore likely to move somewhere else where they are less prone to being injured. Alternatively, if you are looking for fast results we have a method that may suit you. By grinding the shells and placing them in vinegar overnight, the shells will be broken down and will, therefore, speeds up the calcium being ready to be utilised by your plants. A very common household item, coffee is an effective fertiliser to use on plants. Although, this is only when the grinds themselves still contain caffeine which will be based on how you make your coffee. However, before adding coffee to plants, it is crucial to ensure the coffee is dry. This is as wet coffee is very likely to cause fungus to grow which will eventually harm your plants. A surprise to some, the water you use to boil your potatoes can also be used to water your plants, as long as you did not add any salt. This is due to the fact that potatoes include Potassium, Magnesium, Zing and Phosphor. Therefore, when using the water used to boil the potatoes to water your plants you are gifting your plant’s small traces of these said elements. An essential household item to some to add onto your fish and chips, vinegar is an effective weed killer which is also environmentally friendly. Vinegar has many uses in the garden, for instance removing rust from gardening tools, killing weeds, cleaning bird feeders as well as to make dull plastic furniture shine. Our tip is to pour the vinegar into a spray bottle. This way it is easier to cover the areas you want in controlled bursts. You can then use the spray bottle to spray weeds (ideally on a hot day). The acid from the vinegar will scorch the weeds and consequently kill them. Make sure to water the area afterwards in order to remove any excess acidity. Another controversial household item that could be of great use to your garden is green tea. As green tea contains a large amount of iron, it is perfect for raspberry plants as well as many other factors. These include soil enrichment as they are high in nitrogen and consequently useful for supporting healthy plants. Composting as they can go directly into the compost pile. As well as for watering plants after leaving the leftover tea bags in a watering can for a few days. However, if doing this make sure to throw out the tea bag or leaves after soaking as they may attract parasites. Not only limited to health and beauty, Epsom salt is great for the garden too. It is believed that Epsom salt is perfect for inhibiting the growth of weeds in driveways and cracks. 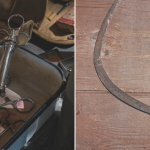 Not only that, it is also known to be able to extend the life of cut flowers and flowerpots. Other features of Epsom salt include the ability to improve seed germination, prevent garden pests as well as countering transplant shock. Therefore, an essential item to keep in the house. Another highly common household item is hair. Hair contains high levels of magnesium so is consequently a highly effective natural fertiliser. Although, it is important to bear in mind that hair can take up to two years to break down. 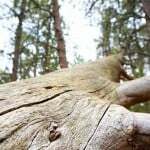 Alternatively, hair can also be used in compost and may help break up soil (thick soil or clay soil) whilst providing strong structural support for the roots. Any hair is suitable to use in the garden whether it be from a human, horse, cat or dog. For some, the thought of going to the toilet in the garden may be a definite no. However, urine is rich in nitrogen which can help ensure foliage growth. It is best suited to green and grassy plants such as corn. It is advised not to place the urine directly on the plants, ideally, it is better a small distance away from the base of the plant. This is as the high salt present in urine may scorch the plants when directly in contact with urine. On the other hand, for better results consider diluting the urine with water around ten times before applying it to the root zone. If you are caring for seedlings and tender plants, it may be worth diluting the urine even further. Using urine as a way to improve your garden should only be done by those who are healthy and are not currently taking any type of medication or birth control pills. Copper coins can always be found lying around. Often dropped on pavements or even left uncared for at the bottom of your purse or wallet, for many of us left over pennies are a nuisance. Or alternatively, maybe you got handed a foreign copper coin that you may never get the chance to spend. However, although sometimes seen as useless, copper coins could be perfect in your garden. Did you know copper is a fungicide? 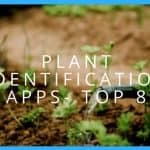 This makes burying them in your soil an easy way to keep your soil healthy as well as to potentially keep your plants safe from fungal infections. Simply bury them vertically near the plants you want to protect, half of the coin should be visible.